Looking to write your own copy? Looking to re-write copy which isn't performing? Don't know where to start? Then help is at hand. 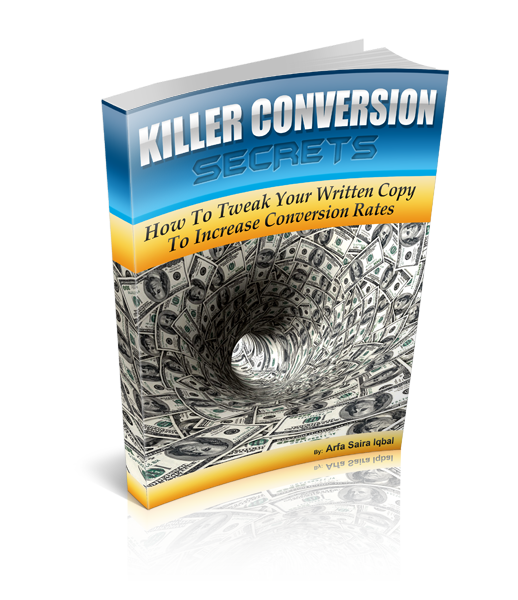 Killer Conversion Secrets is every non-copywriter's best friend in the war against flat copy! This all-meat and no-fluff guide is going to teach you how to re-write your copy so it has 'buy me' written all over it! In short, you're going to learn the copywriter's down and dirty secrets which will seriously skyrocket your conversion rates and make a serious impact on your purse! So, who else wants MORE MONEY from the same copy? Get yours here for just $27! BUY NOW for just $27!